St. Louis Realty was founded by homeowners, just like you! St. Louis Realty started in June of 2000 with a goal to provide unmatched service at a fair price. 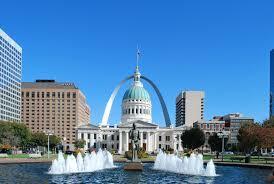 We have since sold over 5000 homes in the St. Louis Metro area. We have no hidden fees, for sellers it is a straight 5% and that is paid only when we sit down at the closing table after your home is sold. Our sales agents are full time and work hard to sell a few homes every month, so our revenue is based on sales volume and not on individual homes. In essence, we might make a bit less on every home sale but if we sell twice as much we are making more than if we charged 6% or 7%. It is a win/win for both us and our sellers! Because St. Louis Realty charges sellers just 5%, our clients save thousands of dollars in commissions but still reap the benefits of a full service agency that does everything from start to finish. Truthfully, because we are a smaller company we know we have to do everything a little better than our competition. Our goal is to get the absolute highest possible price for your home at the lowest cost to you. For buyers, our services are 100% free, there is no “administration fees” or other hidden costs that other agencies charge. Every agent specializes in different areas and can work with you to find your dream home at the best price possible. The home buying process can be stressful enough without worrying about who you can and cannot trust. Your buyer’s agent is your trusted advocate and always has your best interest at heart. If you are buying a home it is always a good idea to have a licensed professional walk you through the process, this is what we do every day and we are good at it! Whether you are buying or selling, give us a call today, we would love the opportunity to earn your business and add you to our long list of satisfied clients!